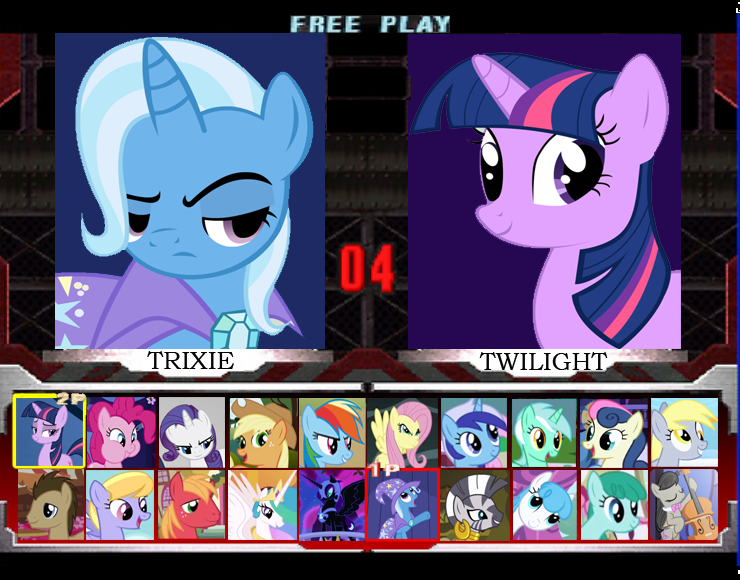 My Little Pony: Friendship is Tekken. What other crossovers will MLP mix with next?!? I upendo the Tekken fighting game series! And now MLP has taken over. XD. HD Wallpaper and background images in the My Little Poney club tagged: my little pony friendship is magic tekken. This My Little Poney photo might contain kubadilika kioo dirisha, anime, comic kitabu, manga, cartoon, and mkono. Place your bets everyone! Let's see who wins! I`ll be derpy, she has qualities!!! Applejack would win. She's the best applebucker out there and she has her lasso. This is all based on strategy and has nothing to do with the fact that she is my favorite pony. Honest. Get Ready for the Next Gallop! 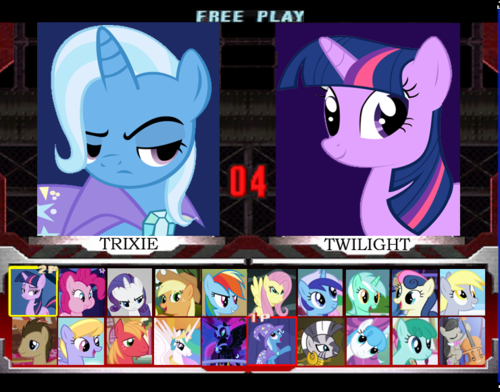 If i was playing that game i would pick Pinkie Pie as my player and Rainbow Dash as player 2. Cuz if u have seen Smile HD, u would know why i would be Pinkie Pie.